Like Top Gear? You can now watch it on Facebook. BBC Worldwide, the commercial arm of the BBC, has announced details of a new video-on-demand (VOD) Top Gear Facebook application, which allows users to watch full-length episodes from within Facebook. The global broadcaster has teamed up with Softwind Studio, a London-based social media studio that specializes in creating interactive social apps, to launch the app which requires users to pay with Facebook credits to rent the clips. First up, you have to ‘Like’ the Top Gear Facebook page, and then you’re given the option of using Facebook credits to gain access to videos which will be available to watch for a 48-hour period within Facebook. 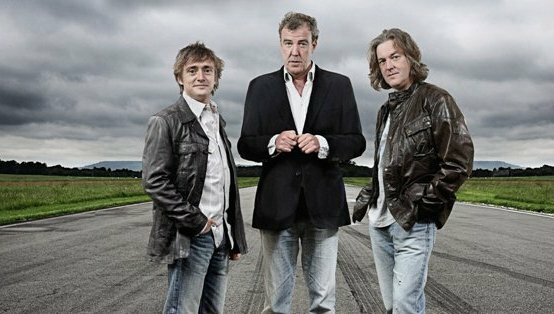 Top Gear is an international phenomenon, broadcast to over 350m viewers across more than 100 countries. Just now, there are three episodes available – the Polar Special and the US and Vietnam Road Trips, but with the launch of the Global version of iPlayer last month, it will be interesting to see whether fans of the show will choose Facebook as a viewing platform, subscribe to iPlayer or choose both. Facebook Credits are a form of virtual currency that allow users to buy virtual gifts, games and to unlock items within Facebook applications, one of the most well-known examples being Farmville. Credits can be bought using a credit card, PayPal or a mobile phone, among other payment methods. We also reported last month that Doctor Who – which is BBC Worldwide’s biggest selling TV show across the globe – was being broadcast on Facebook, and it’s clear that the company is seeking as many avenues as possible to capitalize on its hottest programmes. In 2009, BBC Worldwide exceeded revenues of £1bn for the first time, and topped this figure over the following twelve months.